It’s the best solution for the price. 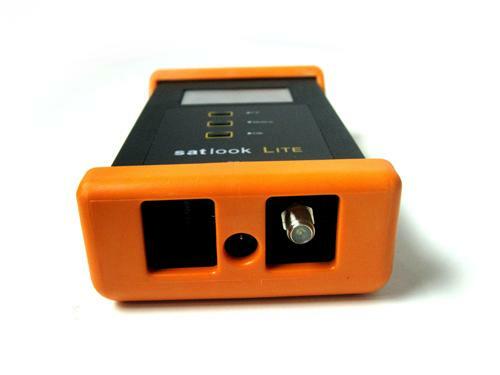 Our SATLOOKLITE meter will help you align your DIRECTV SWM or non-SWM and DISH Western Arc dish, and it can point at dozens of different satellites in the sky. Occasionally though, we’ve heard that customers get factory-fresh meters that don’t show all the satellites. After contacting the factory, our understanding is that this is very rare and hardly ever happens. They’re working on new processes to make sure it never happens, but in the really rare case that you get a meter and it doesn’t show all the satellites, there’s a simple way to work around the issue, and you only have to do it once. The problem is that the favorites list stored in the meter is not correct. It should come from the factory showing all the satellites, but sometimes it doesn’t. All you have to do is edit the favorites list to make sure it’s right. Press the UP button three times until the cursor lands on Favorites. Press the DOWN button to scroll through the list. You will need to push it If there is not an asterisk (*) next to that selection, press the >OK button to put an asterisk there. Press the DOWN button to go to the next selection. Put an asterisk next to all the ones you want to use. Press the UP button until the cursor lands on Satellite Search and then press the >OK button. Press the UP button until the satellite you want to see appears. It’s that simple and once you’ve added the satellites you want, you can also remove satellites you don’t want to see and then you’ll be able to get moving even faster!